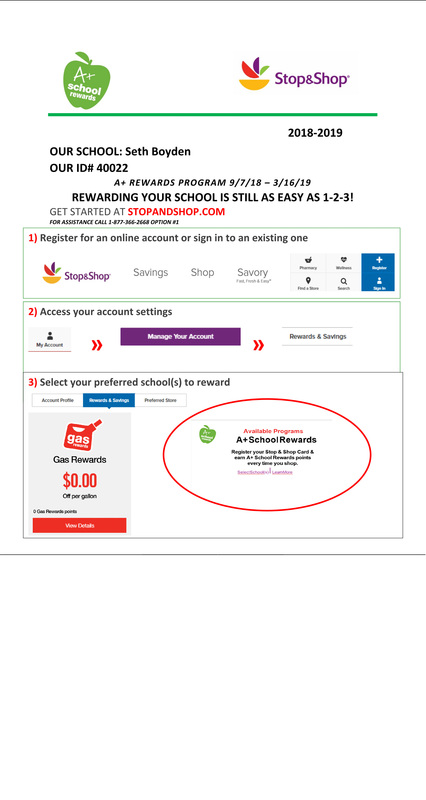 Directions for signing up for the A+ Rewards program are below. If you need assistance, call Stop&Shop Customer Care at 877-366-2668, option 1. You can also email Marianne at donate@sethboyden.com if you have questions or run into a snag. ← Sign Up for the Turkey Trot!